Rinsing your mouth with Coral Nano Silver Mouthwash not only helps to prevent cavities and freshens breath. 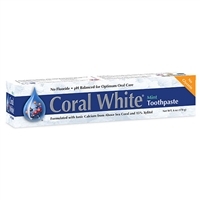 Please use Coral Nano Silver "Exhilarating Mint" Mouthwash At least 2 Times A Day After Brushing Your Teeth. Do Not Rinse!